A website is the cornerstone to building your online presence and brand awareness. It gives consumers a 24/7 virtual storefront where they can do window shopping rain or shine. A well-built website not only has to look inviting and have rich informative content, but it also has to have great coding, because search engines only see what’s under the hood! Here are some tips that can help your website be found by search engine users.Each webpage on your website should follow these tips. Title Tags – Your title tag should contain the main keyword for the page, followed by a brief description of the page. Avoid using special characters and make description 65 characters or less. Description Tag – It’s very important to have a good brief description of the content of your webpage. 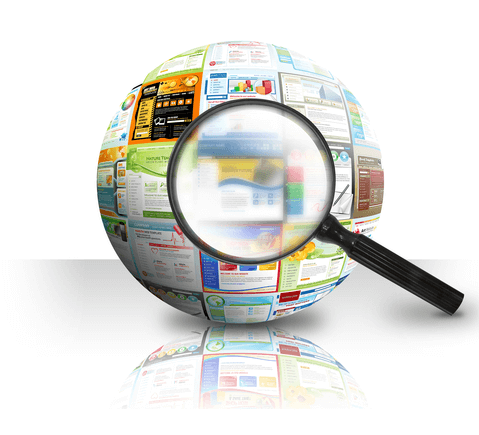 You want to entice search engine users to visit your website. Description should be between 25 and 35 words. Rich Snippets – A rich snippet is a standardized way of marking up content so search engines can easily understand. Good information for rich snippets is your business name, phone, address, email address and website url. Schemas are a great way of incorporating rich snippets in your website code. For more information on schemas, you can visit schema.org. Heading Tags – Each web page of your website should have at least one H1 heading tag, but no more than 2 H1 heading tags. Having H2 and H3 heading tags compliment your H1 heading tag. I would recommend no more than 4 each of H2 or H3 heading tags if you decide to use them. Last thing about heading tags that you should know is that all heading tags on your webpage should maintain the same subject. So if you’re talking about heating, don’t have any header tags that talk about air conditioning. Content – Make sure your content has rich, unique and quality information. The more information you have the better. A minimum of 300 words is recommended. Navigation – Each webpage on your website should contain links to each other. This is very important for proper indexing of your website. Even though it’s not critical to your search engine score, we recommend that each link on your website have a ‘title’. This ensures you more opportunity to be found by search engine users. Sitemap – A sitemap is a list of webpages on your website. It enables search engine users and crawlers to access and navigate your website. Robots.txt – It’s important to have a robots.txt, because it guides crawlers to web pages and directories to scan. It will also block web pages and directories you don’t want crawlers to scan. Images – All images should have a ‘alt’ and a ‘title’. This is not critical to your search engine score, but helps being found by search engine users. It also helps in the event an image cannot load. Back Links – These are links from other websites that link back to your website. Think about it. The more you have, the more chance you have for your business to be found. For example, you can have your website link in the basic information section of your Facebook page. Another great way to get backlinks is to have affiliate links if applicable.